Current selected tag: 'cartoon drawing'. Clear. This 26 page PDF contains a massive collection of cartoon features you can use on your cartoon drawings. The guide also includes animal cartoon features, three-quarter view cartoons, and portrait guides. If you're currently thinking of creating your very own cartoon character but don't know how to start, this reference guide may make things go a little smoother. 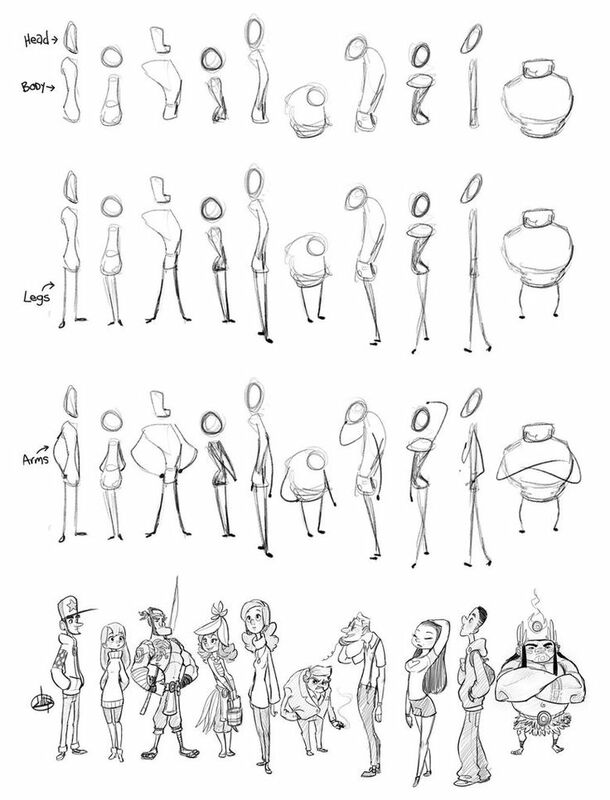 The guide describes the process of creating a cartoon character from sketches to final compositions and explains how to draw the head, body, and arms of various characters. All torsos can be broken down into simple shapes. This reference guide does an excellent job of interpreting different cartoon torsos into simplistic shapes you can easily remember. If you're a cartoon artist, this is a guide you need to have. This reference guide is a useful tool for any cartoon character currently in the process of creating their own characters. The guide provides a general outline of different body types that have been exaggerated for maximum effect. If you've ever wanted to draw a Disney character, this reference guide will get you started in the right direction. You will discover how to proportion your characters, draw different parts of the cartoon anatomy, and get up and personal with tips about drawing face shapes, eyes, noses, and lips.